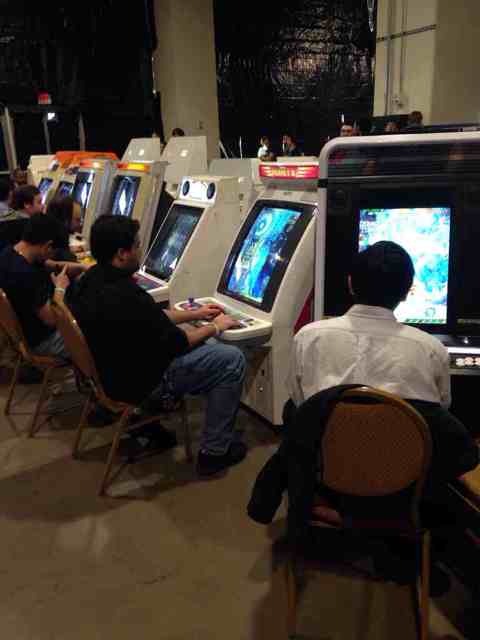 With 2014 now alive and kicking it means that throughout the year people will get a chance to attend annual events that feature arcades in some shape, manner or form. Events like California Extreme take most of the headlines in that regard but there are plenty of others to mention as well. 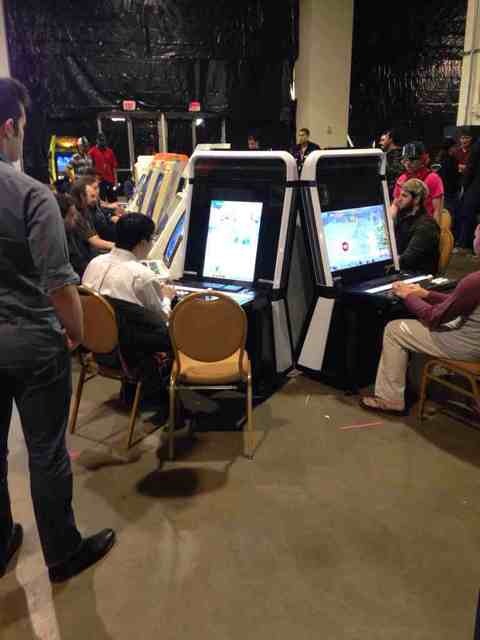 One already took place this year from January 2-5 called MAGFest. That stands for the Music and Gaming Festival and the 12 is not to denote the year but that this is the 12th festival they have held under the name. 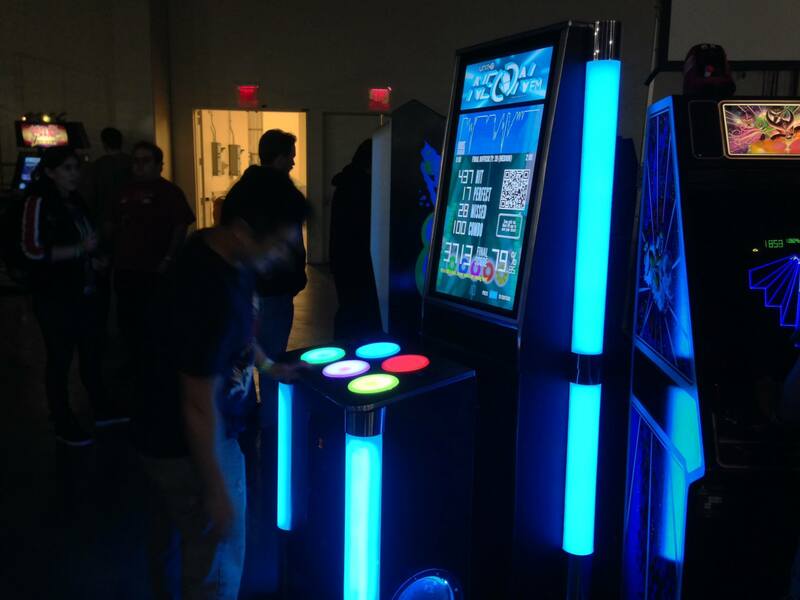 As a part of the gaming floor, an arcade has been setup in previous years, with some support coming from ACAM. That means there are plenty of classic games to get your hands on but there was some newer stuff there too, including an appearance from the upcoming rhythm arcade game NEON FM by Unit-E.
As mentioned, NEON FM was at the fest, sandwiched between an Atari Tempest and Starship 1. It racked up 1710 plays in those few days. 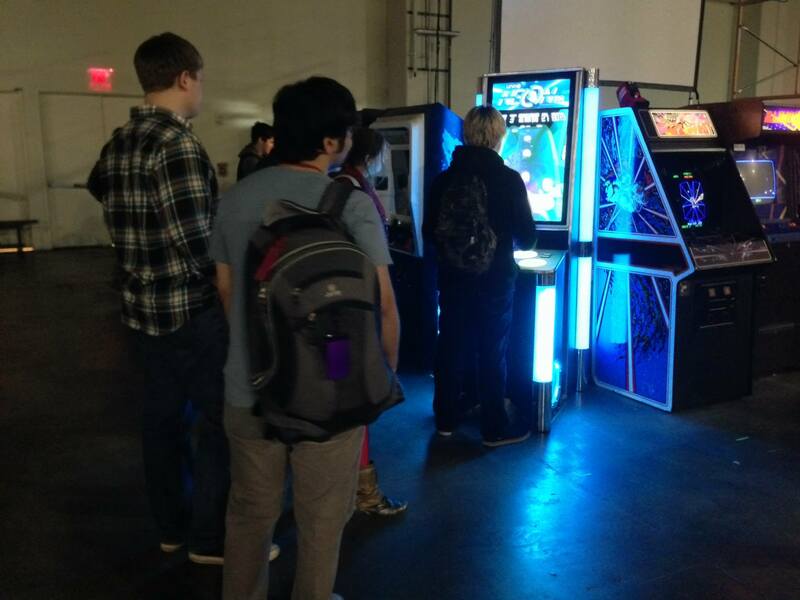 There are many more pictures of the game at the fest on Facebook, there were some times where it looked like it attracted a pretty good crowd. That’s all I have for now but you can check out the MAGFest website here. Oh man, a row of shmups with one of the Mushihimesama games from what I can tell. I gotta start saving so I can go next year! 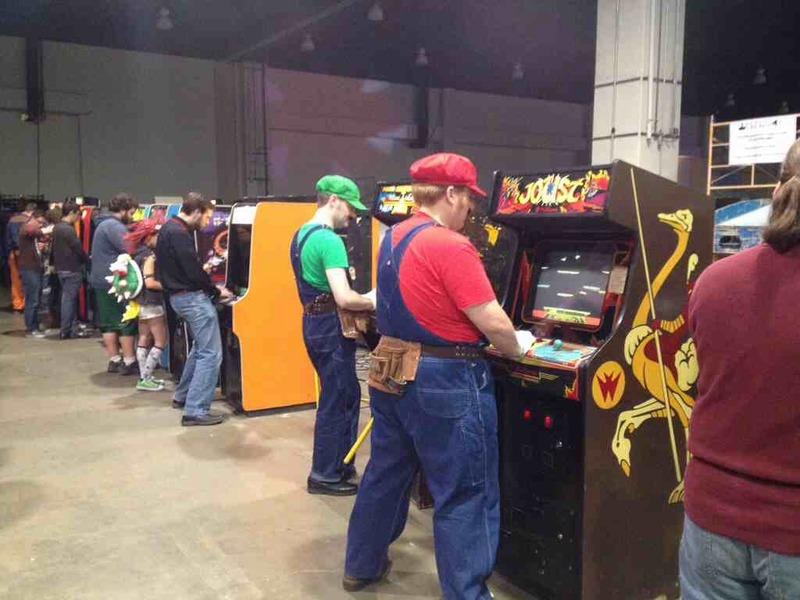 Any attendees have a count or list of games/pinballs that showed up?